If the Super Bowl was kicking off on the Death Star and not in New York, it'd be the Tauntauns versus the Wattos today. 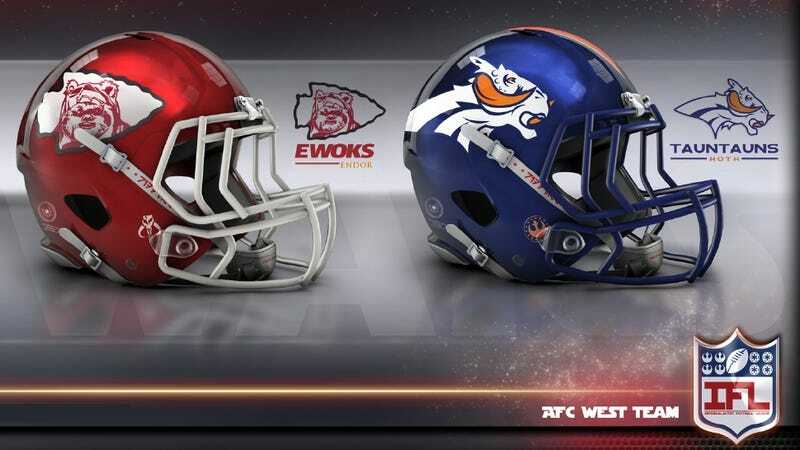 That's according to this set of helmets reimagining the NFL inside the Star Wars canon. Every choice is outstanding (St. Louis Twi'leks, for sure) but the most apt has to be the Washington Gungans. The designs are the work of deviantART's uxorious from June 2012. From the New York X-Wings to the Tennessee Mandalorians and, of course, the Oakland Vaders, it's hard to pick a favorite. Curse you, uxorious, for making me root for the Dallas Rebels!